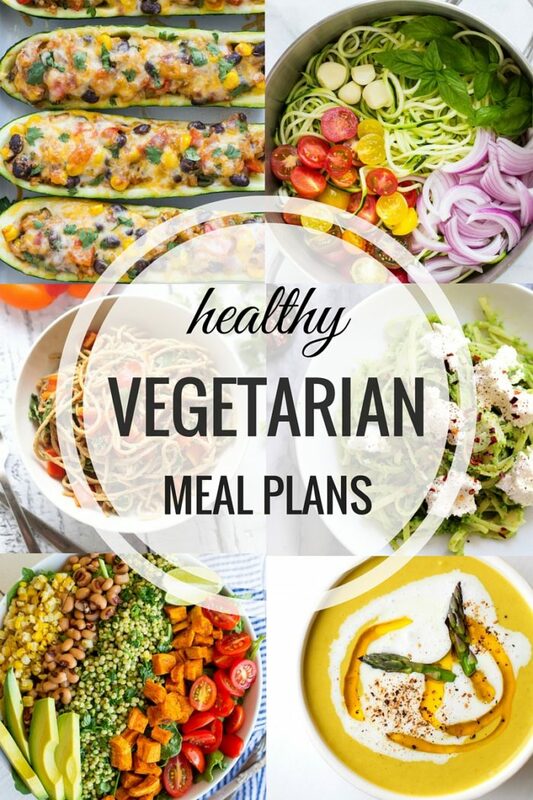 Myself and four of my talented friends are back with meatless dinner ideas to help inspire your meal plan. 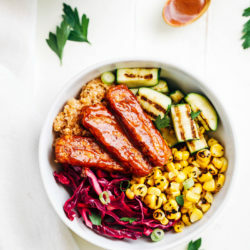 This week we have stuffed zucchini, avocado egg salad, quinoa fried rice, corn and jalapeño frittata, and balsamic sweet pepper pasta on the menu. I hope you have a great rest of your weekend. Cheers to a healthy week ahead! Prep Ahead Tip: Use frozen rice to help save time. Vegan/Gluten-free Substitutions: Substitute dairy-free cheese to make it vegan. Prep Ahead Tip: The eggs can be hard boiled up to 3 days ahead of time. 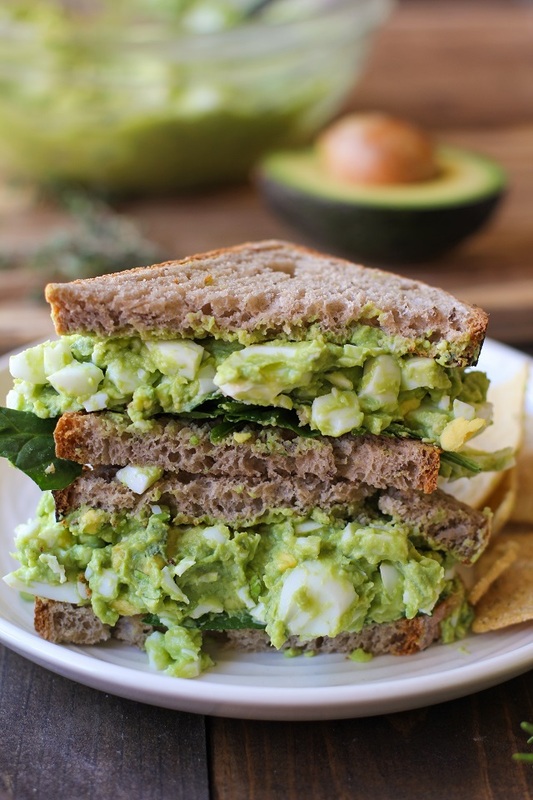 Vegan/Gluten-free Substitutions: The sandwiches can be made with your choice of gluten-free bread, or the egg salad can be served bread-less on top of a green salad. 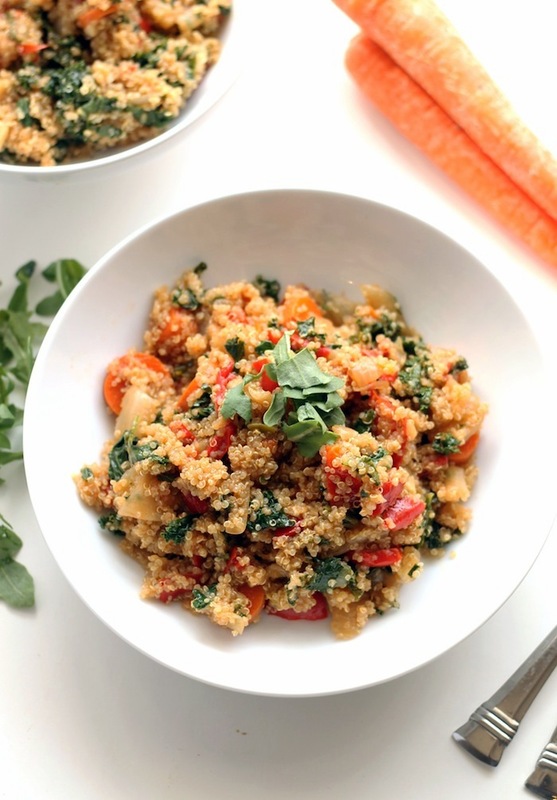 To make this recipe vegan, replace the eggs with a 14 to 16-ounce container of tofu. Press the tofu, chop it into small cubes, transfer to a mixing bowl, then follow the remainder of the recipe. Prep Ahead Tip: Chop veggies ahead of time or use frozen! 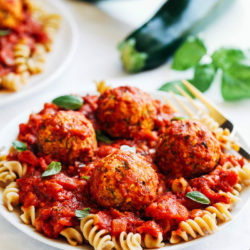 Vegan/Gluten-free Substitutions: Recipe is vegan! To make it gluten-free, sub tamari instead of soy sauce. Prep Ahead Tip: This recipe takes around 45 minutes to prepare, but the majority of that is hands off time while it bakes in the oven. To speed things up, saute the veggies ahead of time so that the night of cooking everything just needs to be mixed together and poured into a baking pan. Vegan/Gluten-free Substitutions: This cannot easily be made vegan as it relies so heavily on eggs! 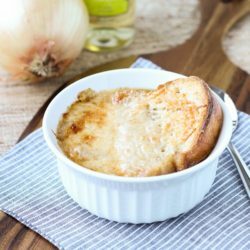 It can be made dairy-free by substituting the brie with your favorite dairy-free cheese and replacing the milk with unsweetened soy or almond milk. It is already gluten free. Prep Ahead Tip: You can slice the peppers ahead of time to save some time. You could also cook the peppers ahead of time and them throw them into the cooked pasta to heat them up before serving. Vegan/Gluten-free Substitutions: To make it vegan you can either omit the parmesan cheese or use non-dairy cheese instead. 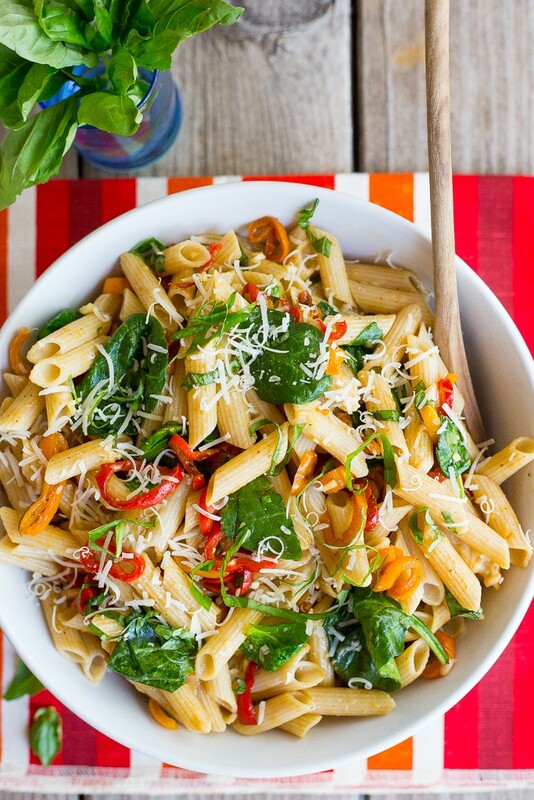 You could also sprinkle some nutritional yeast into the pasta for a cheesy taste! Use gluten free pasta to make gluten free. Be still my beating heart! 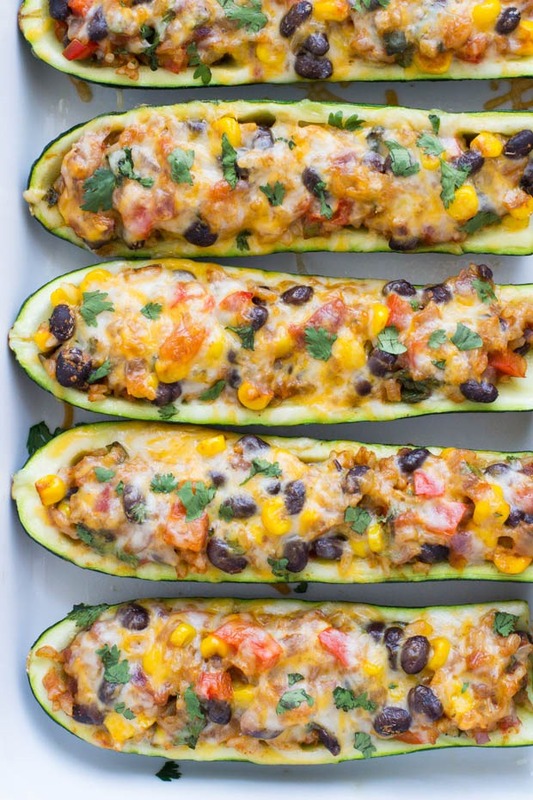 Those zucchini boats!!!! 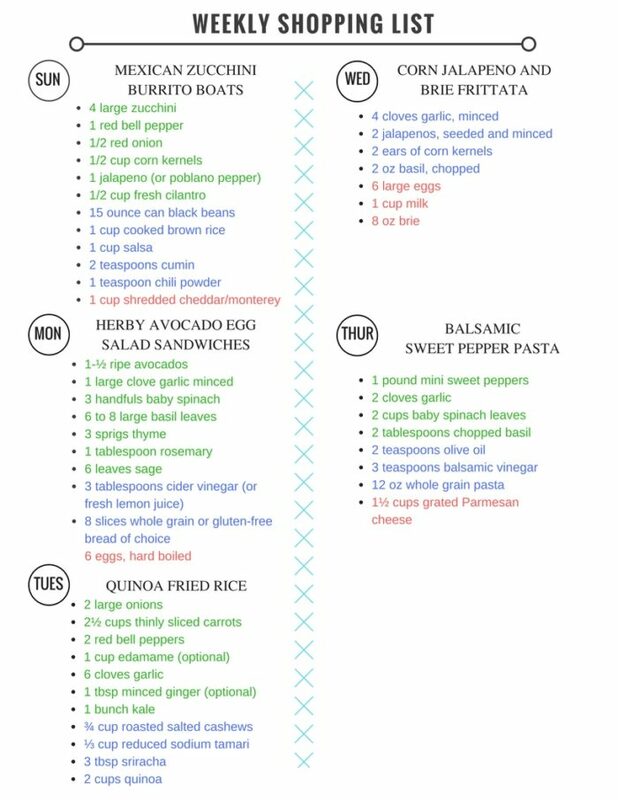 I’ve been trying to actively plan and prep my meals ahead of time. I’m so glad I came across your blog. 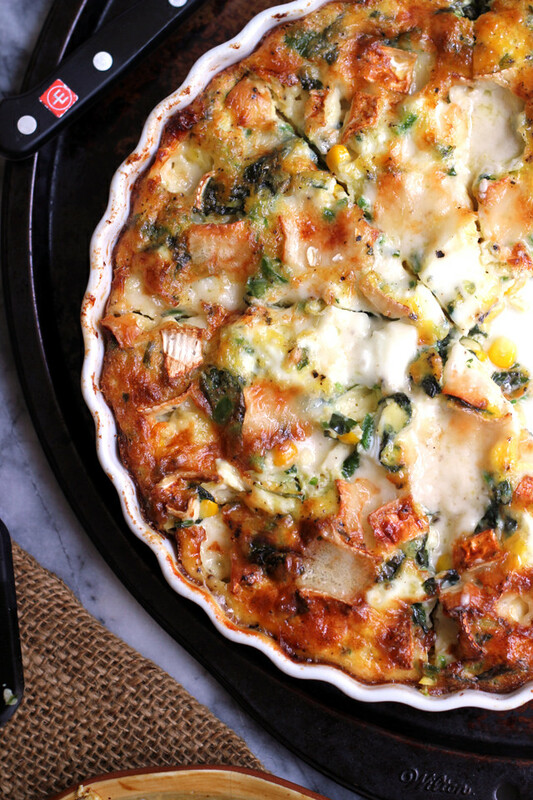 Thanks for sharing these awesome recipes! The shopping list also really helps. Oh dear! Bless you for sharing this. I was trying to look at some vegan recipes online because my boss and her colleagues will be paying a visit at my home and also to celebrate with me in my work promotion (Just got hired after 4 months of internship). They are so devoted with their vegan lifestyle (with my boss being the one who initiated) that’s why I don’t want to fail them in food preparations. Looking at the dishes, the quinoa fried rice looks really promising. The Mexican burrito boats also makes a good impression. I’d look forward to checking some of your recipes in your blog for other options. Thanks for sharing this lovely!